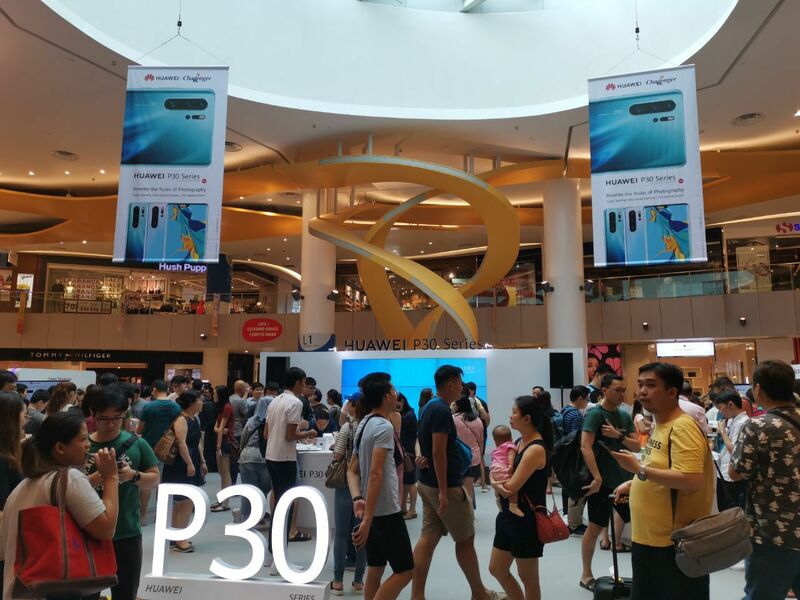 SINGAPORE, APRIL 6, 2019 – Today, the HUAWEI P30 Series made its debut sale at VivoCity with hundreds in line as early as 9pm the day before. Since its global launch in Paris last week, the Huawei P30 Series quickly became the talk of the town among fans and new users for its world’s first Leica Quad Camera with industry-leading zoom capabilities and low-light performance. Taking the reins from its predecessor, the P20 Pro, the Huawei P30 Pro tops the charts in DxOMark’s Photo and Video categories with an all-time high score of 112 and 97 points respectively. Further adding to Huawei’s smartphone photography credentials, the Huawei P30 Pro was recently recognised by the Technical Image Press Association (TIPA) as “Best Photo Smartphone”. The crowning jewel of the HUAWEI P30 Pro rests in its world’s first Leica Quad Camera that is equipped with a revolutionary RYYB colour filter array, empowering photography enthusiasts to capture stunning images even in the dark with the smartphone. In 2018, the global sales revenue of Huawei’s consumer business reached CNY348.9 billion, up 45.1% year-on-year. In Singapore, Huawei maintained strong sales growth that doubled from the previous year. Huawei also emerged in the list of top 5 brands in YouGov Brand Index for most improved brand sentiment in 2018.